In this tutorial, we are going to explain the best way to download and install iOS 8 on iPhone and iPad, and even on how to install IOS 8 on other IOS devices like iPhone 6 plus, 5s, 5c, 4s, iPad 2 and other related IOS devices. The IOS 8 updates came with some unique features, and it’s quite trending. Previously, there was some technical issues which made apple toalso implement the IOS 8.0.2 update, and this problem was relating to the facts that some activities on the iPhone 6 and iPhone 6 plus was being affected. Today’s stroll, I would brief you uys on the best way to download and Install iOS 8 on iPhone and iPad. 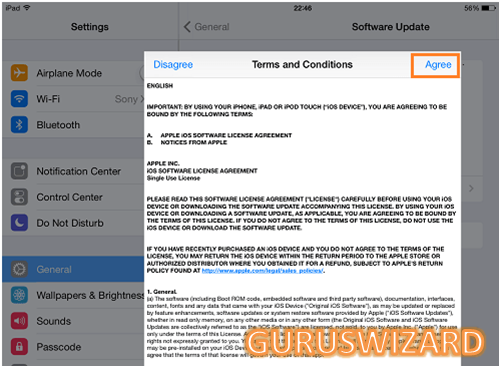 Once the above precaution is taken, then you can follow the brief procedures listed below, to download and install IOS 8 on your iDevice. ü First off- from the home screen of your device, open settings. Then click on ‘General’ option. ü From the general option, you are to select the ‘Software Update’ option. 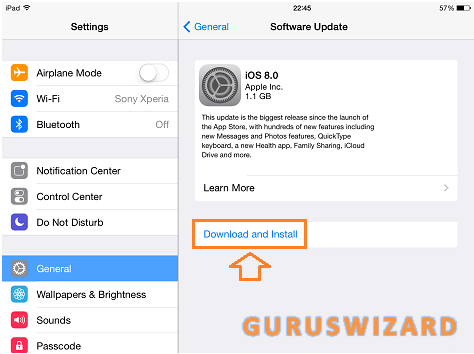 ü After clicking on the software update, then you are to click the ‘Download and Install option’, that is displayed on the software update tabin other to start the download process. ü After clicking on the install and download option, a dialogue box of comfirmation, which includes ‘terms and conditions’ will prompt. Then you are to accept and agree to there terms, which is done at the upper right coner. ü Once the download process is completed, you would see where you are to click the ‘install’ option, then tap. ü Immediately the installation of the IOS 8 is completed, then your device would automaically restart, and then wait a few more mintues, while your device is restarting, till it’s fully restarted. Congratulation, you can now enjoy the features of the latest IOS 8 on your iPhone6, iPhone 6 plus, iPhone 5s, 5c, 4s, iPad and other iDevices. Hope this tutorial helps. If you’ve any related issue with your iDevice, feel free to let us know, and we won’t hesitate to resolve such issue.